YUM! I love ANY kind of fruit crisp! Fruit crisp + ice cream = YUM! I love this one. I had to go to five stores to find rhubarb, but it was worth it! In my old age I have become a ginger lover! This has so many possibilities--all wonderful. Have a great day. I'm enjoying your Wednesday treats. I think no ginger and extra cinnamon would be good for my kids...nice adaptation. I think apple would be great in this. We loved the mixture of strawberries and rhubarb. It was only my second time to try rhubarb. I really liked the ginger in this, plus the double topping. That's the best part! Great recipe!! Im glad you enjoyed the crisp, I know I did!! Your version of Dorie's crisp sounds delicious! You're right, with those base ingredients you really can't go wrong. 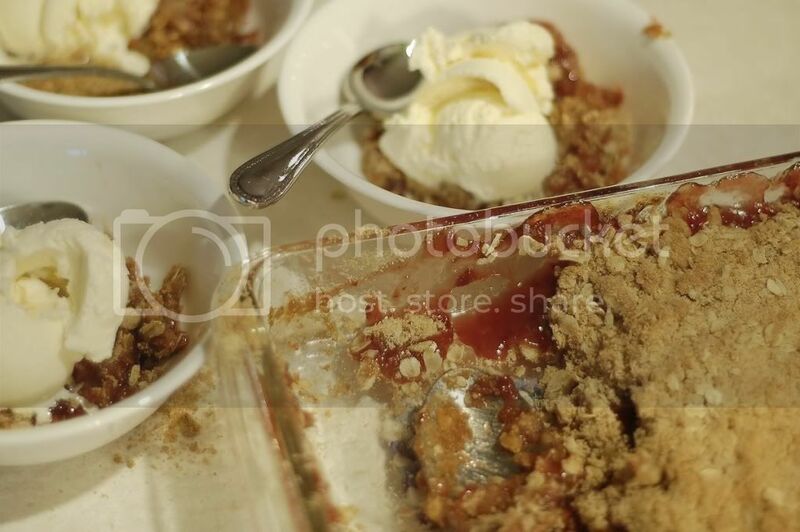 This was my first rhubarb-baking experience and boy was I blown away by the results. Your crisp looks fantastic! How does your Pyrex pan look so elegant while mine looks so...workaday? I love how crisps can be customized to taste - the possibilities are endless. Need to prepare some dessert for Easter this weekend and this looks absolutely scrumptious and delicious. Thank you for posting the recipe. 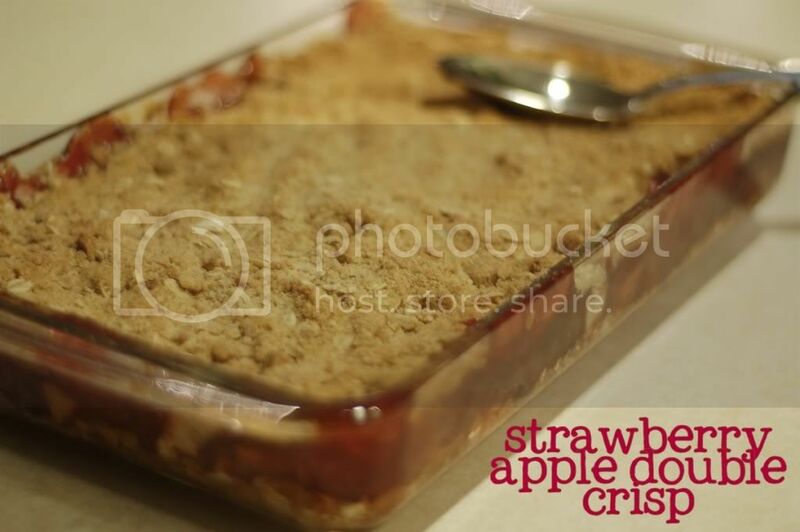 I made this again with garden fresh rhubarb--Hubby said it was the best dessert I've ever made. I have made a lot of desserts in 35 years of marriage.